Recyclables across the region poured out into the streets Thursday to protest what they say are reckless containment practices. What began as “just another windy recycling day,” quickly erupted into one of the largest assemblies of discarded containers, cardboard and paper in Vermont history. 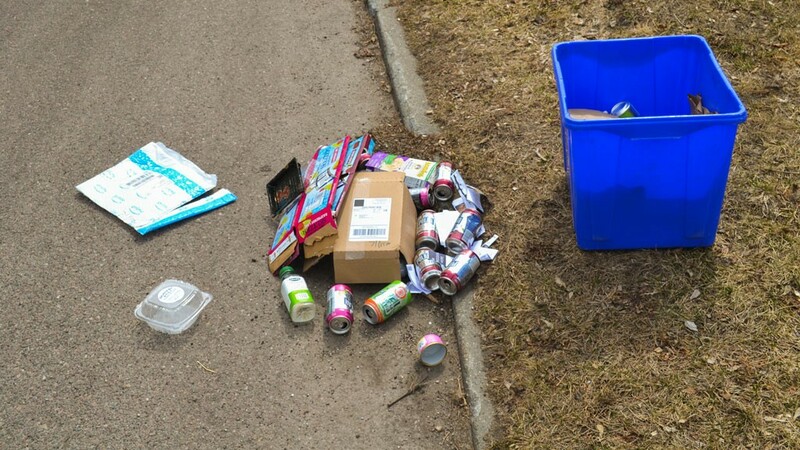 The cardboard box’s sentiments were shared by hundreds of other recyclables, who joined in a daylong march that began in coverless bins and ended wherever the wind happened to carry participants. The protesters are calling on officials across the state to make covered bins the standard recycling receptacle. In Burlington, recyclables said they plan to bring their case to city hall, just as soon as the wind starts blowing in that general direction.